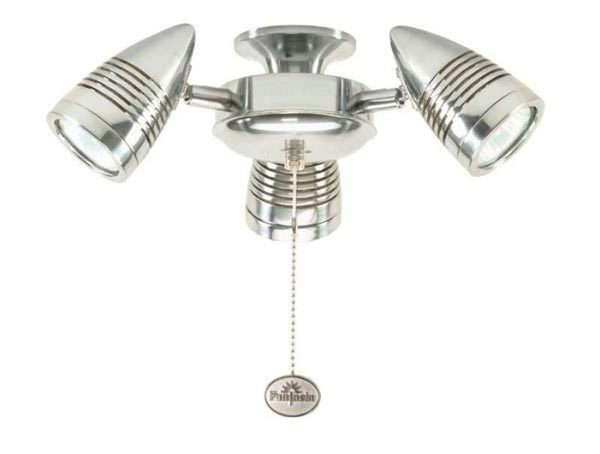 The Sorrento modern additional Fantasia spot-light fan kit finished in stainless steel, with three fully adjustable spot lights. Fitted with a pull cord switch that operates the lights. Suitable for retro fitting to most of the Fantasia fan range.